Twenty-one members of a massive India-based fraud and money laundering conspiracy that defrauded thousands of U.S. residents of hundreds of millions of dollars were sentenced this week to terms of imprisonment up to 20 years. Three other conspirators were sentenced earlier this year for laundering proceeds for the conspiracy, which was operated out of India-based call centers that targeted U.S. residents in various telephone fraud schemes. This week’s sentencing hearings took place in Houston, Texas, before the Honorable David Hittner of the Southern District of Texas. Attorney General Jeff Sessions of the U.S. Department of Justice, Assistant Attorney General Brian A. Benczkowski of the Justice Department’s Criminal Division, U.S. Attorney Ryan Patrick of the Southern District of Texas, Acting Executive Associate Director Derek N. Benner of U.S. Immigration and Customs Enforcement’s (ICE) Homeland Security Investigations (HSI), Inspector General J. Russell George of the U.S. Treasury Inspector General for Tax Administration (TIGTA), and Special Agent in Charge David Green of the U.S. Department of Homeland Security (DHS) Office of Inspector General (OIG) Houston, Texas made the announcement today. Fahad Ali, 25, of Indiana, was sentenced to serve 108 months in prison followed by three years of supervised release on one count of money laundering conspiracy. Judge Hittner also recommended deportation upon completion of his sentence. Montu Barot, 30, of Illinois, was sentenced to serve 60 months in prison followed by three years of supervised release on one count of conspiracy. Judge Hittner entered a stipulated judicial order to remove Barot to India at the conclusion of his sentence. Rajesh Bhatt, aka Mike Joshi, 53, of Texas, was sentenced to serve 145 months in prison followed by three years of supervised release on one count of money laundering conspiracy. Judge Hittner entered a stipulated judicial order to remove Bhatt to India at the conclusion of his sentence. Ashvinbhai Chaudhari, 28, of Texas, was sentenced to serve 87 months in prison followed by three years of supervised release on one count of money laundering conspiracy. Jagdish Chaudhari, 39, of Alabama, was sentenced to serve 108 months in prison followed by three years of supervised release on one count of money laundering conspiracy. Judge Hittner entered a stipulated judicial order to remove Chaudhari to India at the conclusion of his sentence. Rajesh Kumar, 39, of Arizona, was sentenced to serve 60 months in prison followed by three years of supervised release on one count of conspiracy. Judge Hittner recommended deportation to India following his prison sentence. Jerry Norris, 47, of California, was sentenced to serve 60 months in prison followed by three years of supervised release on one count of conspiracy. Nilesh Pandya, 54, of Texas, was sentenced to serve three years probation on one count of conspiracy. Nilam Parikh, 46, of Alabama, was sentenced to serve 48 months in prison followed by three years of supervised release on one count of money laundering conspiracy. Bharatkumar Patel, 43, of Illinois, was sentenced to serve 50 months in prison followed by three years of supervised release on one count of money laundering conspiracy. Judge Hittner entered a judicial order to remove Patel to India at the conclusion of his sentence. Bhavesh Patel, 47, of Alabama, was sentenced to serve 121 months in prison followed by three years of supervised release on one count of money laundering conspiracy. Dilipkumar A. Patel, 53, of California, was sentenced to serve 108 months in prison followed by three years of supervised release on one count of conspiracy. Judge Hittner entered a stipulated judicial order to remove Patel to India at the conclusion of his sentence. Dilipkumar R. Patel, 39, of Florida, was sentenced to serve 52 months in prison followed by three years of supervised release on one count of conspiracy. Harsh Patel, 28, of New Jersey, was sentenced to serve 82 months in prison followed by three years of supervised release on one count of money laundering conspiracy. Judge Hittner also recommended deportation upon completion of his sentence. Nisarg Patel, 26, of New Jersey, was sentenced to serve 48 months in prison followed by three years of supervised release on one count of conspiracy. Judge Hittner recommended deportation to India following his prison sentence. Praful Patel, 50, of Florida, was sentenced to serve 60 months in prison followed by three years of supervised release on one count of conspiracy. Rajubhai Patel, 32, of Illinois, was sentenced to serve 151 months in prison followed by three years of supervised release on one count of money laundering conspiracy. Viraj Patel, 33, of California, was sentenced to serve 165 months in prison followed by three years of supervised release on one count of money laundering conspiracy. Judge Hittner entered a stipulated judicial order to remove Patel to India at the conclusion of his sentence. Asmitaben Patel, 34, of Illinois, was sentenced before Judge Hittner in the Southern District of Texas, Houston Division, on March 23. She was sentenced to serve 24 months in prison on the charge of conspiracy. 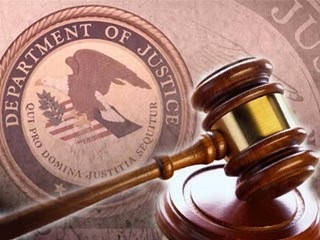 Dipakkumar Patel, 38, of Illinois, was sentenced before Judge Eleanor L. Ross in the Northern District of Georgia, Atlanta Division, on Feb. 14. Patel, who pleaded guilty to charges of conspiracy and passport fraud, was sentenced to serve a prison term of 51 months, to run concurrently. He was also ordered to pay restitution in the amount of $128,006.26. Raman Patel, 82, of Arizona, was sentenced before Judge John Tuchi in the District of Arizona, Phoenix Division, on Jan. 29. In connection with his plea agreement, Raman Patel received a probationary sentence for his plea to conspiracy. He was also ordered to pay restitution in the amount of $76,314.38. According to various admissions made in connection with the defendants’ guilty pleas, between 2012 and 2016, the defendants and their conspirators perpetrated a complex fraud and money laundering scheme in which individuals from call centers located in Ahmedabad, India, frequently impersonated officials from the IRS or USCIS in a ruse designed to defraud victims located throughout the United States. Using information obtained from data brokers and other sources, call center operators targeted U.S. victims who were threatened with arrest, imprisonment, fines or deportation if they did not pay alleged monies owed to the government. Victims who agreed to pay the scammers were instructed how to provide payment, including by purchasing stored value cards or wiring money. Once a victim provided payment, the call centers turned to a network of runners based in the United States to liquidate and launder the extorted funds as quickly as possible by purchasing reloadable cards or retrieving wire transfers. In a typical scenario, call centers directed runners to purchase these stored value reloadable cards and transmit the unique card number to India-based co-conspirators who registered the cards using the misappropriated personal identifying information (PII) of U.S. citizens. The India-based co-conspirators then loaded these cards with scam funds obtained from victims. The runners used the stored value cards to purchase money orders that they deposited into the bank account of another person. For their services, the runners would earn a specific fee or a percentage of the funds. Runners also received victims’ funds via wire transfers, which were retrieved under fake names and through the use of using false identification documents, direct bank deposits by victims, and Apple iTunes or other gift cards that victims purchased. HSI, DHS-OIG, and TIGTA led the investigation of this case. Also providing significant support were: the Criminal Division’s Office of International Affairs; the Ft. Bend, Texas, County Sheriff’s Department; the Hoffman Estates, Illinois, Police Department; the Leonia, New Jersey, Police Department; the Naperville, Illinois, Police Department; the San Diego County District Attorney’s Office Family Protection/Elder Abuse Unit; the U.S. Secret Service; U.S. Small Business Administration Office of Inspector General; IOC-2; INTERPOL Washington; USCIS; U.S. State Department’s Diplomatic Security Service; and the U.S. Attorney’s Offices of the Northern District of Alabama, District of Arizona, Central District of California, Northern District of California, District of Colorado, Northern District of Florida, Middle District of Florida, Northern District of Georgia, Northern District of Illinois, Northern District of Indiana, Eastern District of Louisiana, District of Nevada, and the District of New Jersey. The Federal Communications Commission’s Enforcement Bureau provided assistance in TIGTA’s investigation. Additionally, the Executive Office for U.S. Attorneys (EOUSA), Legal and Victim Programs, provided significant support to the prosecution. Senior Trial Attorney Michael Sheckels and Trial Attorney Mona Sahaf of the Criminal Division’s Human Rights and Special Prosecutions Section (HRSP), Trial Attorney Amanda S. Wick of the Criminal Division’s Money Laundering and Asset Recovery Section, and Assistant U.S. Attorneys Mark McIntyre and Craig Feazel of the Southern District of Texas prosecuted the case. Kaitlin Gonzalez of HRSP was the paralegal for this case.